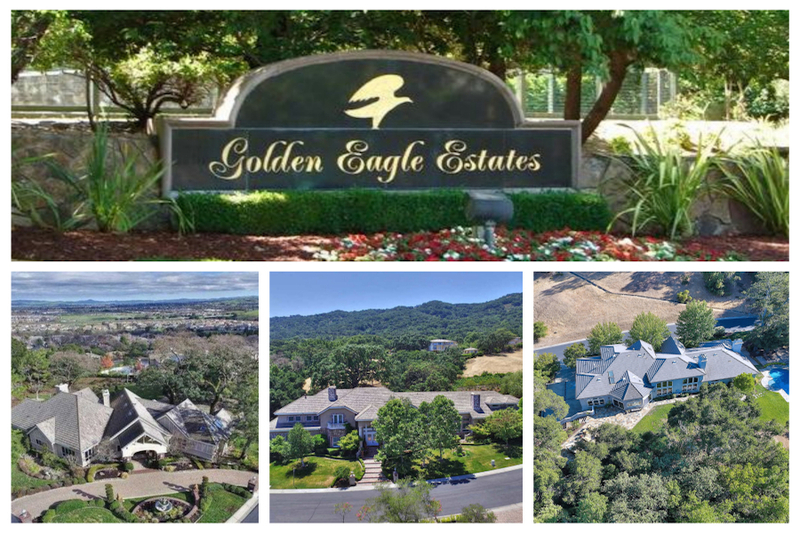 Golden Eagle is an exclusive gated home community nestled in the Pleasanton Hills. Featuring luxurious custom homes on large lots typically measuring one acre or more in a wooded setting, many with views of the valley. Lower Golden Eagle is a gated community of smaller luxury homes. The Golden Eagle homes are part of the Golden Eagle HOA, which includes pool and tennis courts.